by NRA-ILA: On Thursday, over 300 media outlets joined in a coordinated effort to push back against President Donald Trump. That will hardly come as a shock to many Americans, as it seems mainstream news organizations have done little else throughout his tenure in the White House. Indeed, the stunt was perhaps the most vivid and explicit demonstration to date of the mass groupthink, negative Trump obsession, and narrative of victimhood that characterize the modern media landscape. On the latter statement, we can at least agree in principle. The Bill of Rights is explicit that “Congress shall make no law … abridging the freedom of speech, or of the press, or the right of the people … to petition the Government for a redress of grievances.” These rights have been broadly interpreted to prohibit government officials and entities of all types from engaging in censorship or suppression of free expression. Americans should be grateful for those freedoms and protections. However, the mainstream media has become its own worst enemy by abusing its considerable freedom and squandering whatever goodwill and trust it had with America at large. 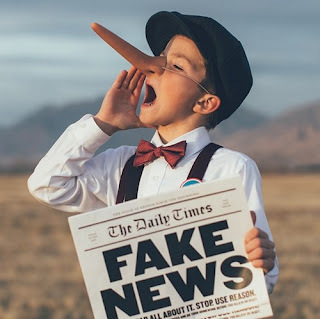 In a recent poll of nearly 4,000 Americans, 72% expressed the belief that "traditional major news sources report news they know to be fake, false, or purposely misleading,” with nearly two-thirds attributing the reporting of fake news to the promotion of an agenda. Democrats polled tended to be significantly more trusting of media, while Republicans or Republican-leaning Independents were significantly less so. That’s not President Trump’s fault. Americans’ trust in media had been falling long before he took office. 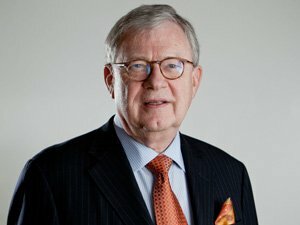 What the media is reacting to is not a “dirty war” against them, but a new landscape in which a few well-established, for-profit corporations who claim the high ground of the First Amendment can no longer co-opt or set the terms of the national debate without expecting their own pushback or scrutiny. Americans have awakened to the fact that the self-proclaimed “guardians of truth” must be viewed with a critical eye, and media watchdogs have more tools than ever before to hold irresponsible journalists accountable and to correct the record. And, yes, we also have an American president who will use tools of modern communication to bring his messages directly to the people and to aggressively counter the tsunami of negative coverage he faces virtually every minute of every day. For many Americans used to watching their chosen representatives be treated like mute punching bags by a sneering, condescending press loyal to the opposition party, it can be bracing to see one finally standing up for himself. Gun owners in particular have reason to reject the media’s victimhood narrative. We have seen far too many examples of false and misleading media reporting on firearm and Second Amendment related issues to attribute the phenomenon to mere ignorance or laziness. What follows are just a few of the more egregious examples. Ironically, the most obvious indictment of the media was their inability to report accurately or insightfully on the biggest political story of the 21st Century to date: the success of Donald J. Trump’s insurgent candidacy for the presidency of the United States. It would be an understatement to say they misjudged the depth of discontent arising from the Obama years, the horror with which many regarded Hillary Clinton, or the desire millions of Americans had for a leader who would unabashedly affirm America’s greatness. Had gun owners taken reporting on the 2016 election at face value, they might have accepted defeat without even showing up at the polls. Then instead of a pro-gun president, they would have had one who believed the same Supreme Court that declared the right to keep and bear arms a fundamental individual liberty was “wrong on the Second Amendment.” Pro-gun Americans’ ability to trust their own instincts and persevere in the face of what the media suggested were hopeless odds literally changed the course of the nation’s history. Another monumental falsehood perpetrated by the media is that the Second Amendment has nothing to do with the individual right to possess a firearm for self-defense. They did this before the U.S. Supreme Court squarely and conclusively ruled otherwise in 2008 (thereby confirming the prevailing view of the American public), and they’ve continued to do so since then. And to whatever extent they are willing to admit the high court’s precedent makes their own views largely academic, they respond by calling for the outright repeal of the Second Amendment or, more dishonestly, by suggesting that all the gun control they want is completely compatible with it. But however the media attempt to couch their arguments, they remain nearly unanimous: Congress can and should ban guns, whether that means merely the most popular ones or all of them. Simply put, American gun owners who believe in a robust and meaningful Second Amendment know the mainstream media is and long has been working in the opposite direction. This is a remarkably hypocritical posture for an industry that likes to claim the First Amendment as its mandate and shield. The third way the media has shown its bias against gun owners is by characterizing them as bad or uncaring people and attacking the NRA in the public square. They have suggested that Americans love their guns more than their own children. They have cast support for gun control (the efficacy of which remains mostly unproven) as a moral imperative. They have called the NRA – and by extension, its millions of law-abiding members – “a terrorist organization” and have accused them of having “blood on their hands” and being responsible for the deaths of innocents. They have advocated for shunning gun owners and the lawful industries that support the Second Amendment, not just in polite society, but through the means of modern commerce. At least one article in the Washington Post even suggested that merely owning a gun makes a person “responsible” for firearm-related violence committed by others. On top of this are nearly daily examples of reporters’ laughable ignorance, fear-mongering, shady factual claims, and transparently biased “fact-checking” regarding firearms and firearm-related violence in the U.S. The overall picture is of a media apparatus lacking in judgement, professionalism, trustworthiness, and familiarity with the lives and values of millions of ordinary Americans. To be sure, there are exceptions, and some reporters work diligently and ethically to report accurate information, even when it goes against the conventional wisdom of their colleagues. But journalists fretting over their public image have more to fear in the practices of their peers than in any characterizations of their profession coming from the White House. If they want to counter the narrative that they are blindly and single-mindedly focused on hounding a president from office at any cost, openly colluding to scold him for rhetoric that merely mirrors their own contempt may not be the best place to start. Tags: Fake Blues, Media’s Worst Enemy, Isn’t the President, It’s Themselves To share or post to your site, click on "Post Link". Please mention / link to the ARRA News Service and "Like" Facebook Page - Thanks! 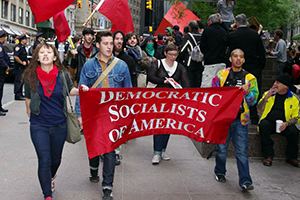 by Newt Gingrich: A few weeks ago, a member of the Democratic Socialists of America (DSA) wrote an article for Vox explaining the movement’s goals – to end capitalism and radically change America. Tags: Newt Gingrich, commentary, Democrats, No Idea, What Demons, Unleashing, Democratic Socialists of America To share or post to your site, click on "Post Link". 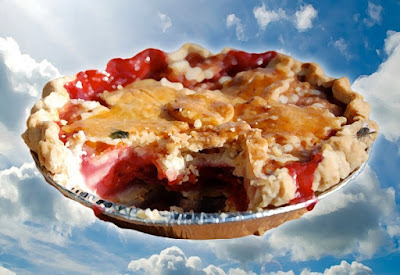 Please mention / link to the ARRA News Service and "Like" Facebook Page - Thanks!
. . . Pray for ther families in their time of bereavement and sorrow . by Holly Matkin: Americans Jay Austin and Lauren Geoghegan were murdered in an ISIS-claimed attack in Tajikistan on July 29. Khatlon Oblast, Tajikistan – An idealistic District of Columbia couple, who embarked on a bicycle trip through Africa, Europe and Asia with the belief that evil was “make-believe concept,” was murdered in an ISIS-claimed attack on July 29 (video below). The attack occurred on day 369 of their journey. Jay Austin and his girlfriend, Lauren Geoghegan, both 29, were riding with a small group of five other tourists on a rural stretch of road in southwestern Tajikistan, The New York Times reported. Although the U.S. State Department travel advisory for the area was at the lowest level on that day, the predominantly Muslim region borders Afghanistan, which has been designated as a “do not travel” area by the State Department, The Washington Post reported. The area is generally safe for Western tourists, but is still “very much a dysfunctional state” with many corrupt border officials, a repressive central government, and a severely economically disadvantaged population, Paul Stronski, a senior fellow at the Carnegie Endowment for International Peace told The Washington Post. A brief cell phone video showed a Daewoo sedan as it passed by the cyclists. The vehicle suddenly made a sharp U-turn, then headed back towards the group before it slammed into them. After running over the riders and their bikes, the five terrorists jumped out of the vehicle and stabbed the victims before fleeing the scene, CBS News reported. The remaining three injured cyclists received medial assistance, the New York Post reported. Tajik authorities blamed the attack on a domestic Islamic separatist group, but ISIS subsequently released a video that showed the purported attackers sitting in front of an ISIS flag as they vowed to kill “disbelievers,” The New York Times reported. The Tajik Interior Ministry later released a statement that included photographs of four dead men accused of being involved in the attack. Several other men who were taken into custody were also shown in the statement. 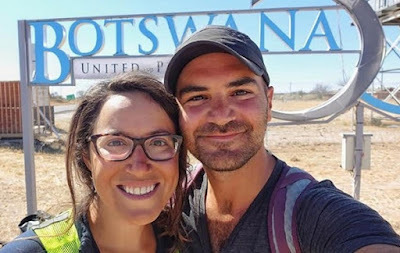 According to their joint blog, Austin and Geoghegan embarked on their journey in July of 2017, after they became disillusioned with their conventional, well-paying jobs and left them behind in order to travel the world. “There’s magic out there, in this great big beautiful world,” Austin chronicled in the Simply Cycling blog. Instead of using a vehicle, the pair chose to undergo their voyage by bicycle due, in part, to the “vulnerability” they were forced to experience on the bikes. “With that vulnerability comes immense generosity: good folks who will recognize your helplessness and recognize that you need assistance in one form or another and offer it in spades,” Austin wrote. The idealistic couple blew off the potential threats to their safety, and said they believed “evil” did not truly exist. “You read the papers and you’re led to believe that the world is a big, scary place,” their blog read. “People, the narrative goes, are not to be trusted. People are bad. People are evil. “No greater revelation has come from our journey than this,” Austin wrote. Holly Matkins is a former probation and parole officer. She is a regular contributor to Signature Montana magazine, Distinctly Montana magazineand Blue Lives Matter. Tags: cyclists, Jay Austin, Lauren Geoghegan, claimed ISIS, evil, make believe, murdered, ISIS-claimed attack, Tajikistan, Holly Matkins, Blue Lives Matter To share or post to your site, click on "Post Link". Please mention / link to the ARRA News Service and "Like" Facebook Page - Thanks! by Gary Bauer, Contributing Author: Why So Worried? There have been some curious developments in the investigation into the deep state's meddling in the 2016 election. Investigative reporter Sara Carter notes that ex-British spy Christopher Steele sent a frantic message to Associate Deputy Attorney General Bruce Ohr in March 2017 -- just as then-FBI Direct James Comey was about to testify before Congress. Steele's message: "We're a bit apprehensive given scheduled appearance at Congress. . . Hoping that important firewalls will hold." Yesterday, Fox News reported that congressional investigators also have found this note from Ohr regarding Steele's concerns after Comey was fired: "very concerned (abt) about Comey's firing -- afraid they will be exposed." Granted, there is considerable context missing here. But Steele and Ohr certainly do not sound like two government officials who are hoping the truth about their work becomes known. What exactly did they do that has them so worried about exposure and firewalls? 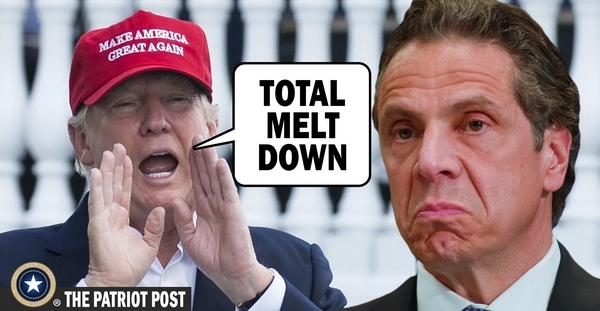 Cuomo's Ticket Out - After his remark this week questioning America's greatness, New York GOP officials bought Governor Andrew Cuomo a one-way bus ticket to Canada. Not a bad investment for $55. I love the impulse. Hopefully, Donald Trump's fighting spirit is beginning to catch on with the rest of the party. But why Canada? Why not send Cuomo to some place where he could gain a better appreciation for how great America truly is? How about Cuba, where socialism often leads to shortages . . . of toilet paper among other things. Or perhaps Venezuela, where the "Maduro Diet" -- that would be starvation as a result of socialism -- is helping to fight the obesity epidemic in the West. Since he's so concerned about helping women achieve their "full potential," maybe we should send Mr. Cuomo to Iran -- where women are persecuted for refusing to wear the veil. I suggest we sponsor a guided tour of Arlington National Cemetery. There Mr. Cuomo can see many, many names of men and women who had no doubt about America's greatness when they laid down their lives for our country. Denial - You may have missed a big story out of England this week. It got some coverage here, but was quickly eclipsed by frenzied reports of secret tapes and a canceled security clearance. A man in London duplicated the attacks we have seen throughout much of Europe lately when he attempted to drive his car into a crowd of pedestrians and through the barriers that protect the British Houses of Parliament. It took a few days, but we now know that the "man" is named Salih Khater. He is a Sudanese refugee, and he lives in Birmingham -- a hotbed of jihadism. There is no doubt about what this was, but the denial in the West is getting worse. Unfortunately, the reaction to the attack is just as bizarre. In gun-controlled London, thugs who can't get guns are using knives. There has been a massive number of knifings. In fact, London's murder rate is worse than New York City's as a result of the "surge of stabbings." Another horrifying trend across England has been acid attacks. They are now happening daily. But, after this week's terror attack, London Mayor Sadiq Khan had the really "brilliant" idea of . . . banning cars! The only ban that might actually work would be to ban people on the terrorist watch list. But you should really ignore the word "watch." The list is so large that no government in Europe could possible watch them all. But let's bring this back to America. Just this week, we have learned that:One of the Muslim extremists at the New Mexico compound has been living in the U.S. illegally for 20 years. A Texas jury sentenced a Jordanian man to death for the "honor-killing" of his daughter's Christian husband and her best friend. Iranian-backed Hezbollah "sleeper cells" are operating in the U.S.
An ISIS fighter was arrested in the "sanctuary state" of California. He came to this country as a refugee in 2014. (ISIS told us they were using the refugee system to smuggle fighters into the West. It's a serious problem in Europe too. )You would think that the arrest of an ISIS fighter who entered the country through the refugee program would be big news. Any of these stories should be big news. But, of course, Big Media isn't interested because they don't want to admit that President Trump might be right about the need for extreme vetting, border security and serious immigration reform. And Many More!There will be educational and informative breakout sessions, as well as a gala dinner honoring my good friend former Congressman Frank Wolf for his years of leadership on religious liberty issues. Seats are going fast, so register today. Tags: Gary Bauer, Campaign for Working Families, Why So Worried, Cuomo's Ticket Out, Denial, Values Voter Summit To share or post to your site, click on "Post Link". Please mention / link to the ARRA News Service and "Like" Facebook Page - Thanks!
. . . Democrats reject America's greatness because they don't believe in American exceptionalism. by Thomas Gallatin: “We’re not going to make America great again. It was never that great,” declared Democrat New York Gov. Andrew Cuomo Wednesday. His statement, clearly intended as a political jab at President Donald Trump and his popular “Make America Great Again” campaign slogan, sparked outrage across the nation. Trump was quick to react, stating, “Can you believe this is the Governor of the Highest Taxed State in the U.S., Andrew Cuomo, having a total meltdown!” Rep. Ron DeSantis (R-FL), who is currently running for governor of Florida, called Cuomo’s comments “absurd,” arguing, “We’ve done things that no other country has done. I think the country’s a great country.” He added, “I think we are on the right track now more than we were the last eight years. New York is on the wrong track, and people are fleeing his state because of his bad policies.” Fact check: True. But honestly, Cuomo’s comments are merely par for the course for Democrat Party leaders. They’ve been regularly expressing this sentiment for the better part of 20 years. Hillary Clinton essentially said the same thing when she called half of America a “basket of deplorables” (arguably the remark that best exposed her hatred of America’s foundational values). A cursory look at the modern Democrat Party’s political platform speaks volumes to its low opinion of America’s greatness. As the Left further cements its takeover of Thomas Jefferson’s party, it ironically acts in opposition to those very values upon which its own party and this great nation were founded — namely Life, Liberty, and the Pursuit of Happiness. Democrats’ growing preference for socialism while calling for greater limits on capitalism has fast become the party’s political guiding vision. To be a Democrat today is to oppose the very essence of the values that created this great nation in the first place. That is why they cannot admit that America was ever a great nation, let alone that it continues to be one. Thomas Gallatin is a Features Editor for The Patriot Post. Tags: Democrats, socialism, Andrew Cuomo, Donald Trump, Left, Cuomo's Animus. for America, Founding Values To share or post to your site, click on "Post Link". Please mention / link to the ARRA News Service and "Like" Facebook Page - Thanks! by Tom Knighton: The attorney general of a state is supposed to uphold the laws of that state. Their purpose isn’t to create anything, only to enforce the laws on the books to the best of their ability. It doesn’t even matter whether they agree with the law in most cases. They’re supposed to deal with what’s there, not what they wish was there. In Massachusetts, Attorney General Maura Healey has forgotten that little tidbit. Instead, she thinks she has the power to craft law wholesale. It’s a mistake that has led to a new lawsuit against her and the state. Baystate Firearms, of Peabody, and Cape Gun Works, of Hyannis, filed their challenge in a Suffolk County court on Wednesday to Healey’s 2016 enforcement action. 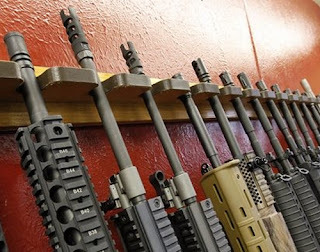 The shops argue that instead of enforcing the state’s “assault weapon” ban as written, Healey issued an “entirely new interpretation” of the law that deemed some constitutionally protected firearms once considered “Massachusetts compliant” as illegal. Just over a year after taking office, Healey announced she was ratcheting up enforcement of the state’s assault weapon ban by targeting “copycat” guns whose actions were similar or interchangeable to AR-15s and AK-47s but otherwise met legal requirements by being sold without features such as a flash suppressor, bayonet lug or telescoping stock. She contended as many as 10,000 such rifles were sold in the Commonwealth in 2015. The lawsuit filed this week argues that the state lawmakers who crafted the current law only allowed a “features test” similar to the now-expired federal assault weapon ban, not a similarity test, which was only added by Healey without legislation or public input. Although not named as a plaintiff, the lawsuit is supported by the National Shooting Sports Foundation, who has argued the new interpretation by Healey compromised the retailers’ livelihoods without increasing public safety. Larry Keane, the organization’s senior vice president and general counsel, said that Healey and her staff “clearly overreached their statutory authority and decided to legislate from that office without the benefit of any public process and in total disregard of 18 years of Massachusetts firearm law, under which firearm retailers operated.”The issue here is that Healey has basically banned guns by fiat, rather than urging lawmakers to use the correct procedures. What’s bizarre is that Healey did this in a state where banning guns is almost as popular a pastime as baseball or football. She couldn’t find anti-gun lawmakers who would deal with these supposed copycat firearms? Of course, she could. It’s not really about the guns for Healey. No, I’d wager that it’s really about making sure people know just how anti-gun she is. She’s likely trying to establish her bona fides before seeking higher office in the future. “As attorney general, Maura Healey fought to crack down on copycat guns meant to skirt common sense gun regulations,” sounds awfully good in a campaign ad in an anti-gun state, right? The problem is, she doesn’t have the authority to decide other guns are illegal when they actually comply with the law. This is one lawsuit that needs to be fought, needs to be won, and needs to see Healey smacked down and reminded of what the hell her job actually is. Tags: New Lawsuit, Filed, Massachusetts, Attorney General, ,Assault Weapon, Expansion To share or post to your site, click on "Post Link". Please mention / link to the ARRA News Service and "Like" Facebook Page - Thanks!
. . . 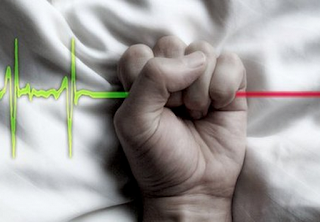 When “the time is right” for assisted suicide. by Bruce Bawer: Euthanasia and physician-assisted suicide are becoming legalized – and normalized – in more and more jurisdictions around the world. While originally intended to allow a swift and painless death for patients with terminal illnesses, they're increasingly being used to end the lives of people who are perfectly healthy. What's the difference between these two practices? In euthanasia the doctor takes the lead; in physician-assisted suicide, as the term suggests, the doctor stands by and helps out. Euthanasia, in turn, can be broken down into categories. It can be voluntary or involuntary, passive (withholding treatment) or active (for example, administering a lethal drug). In practice, it's not always easy to draw lines between one of these things and another, and legal definitions vary from one nation to another. When I wrote about this topic for Front Page in 2014, active euthanasia was allowed in three countries in the world: Belgium, the Netherlands, and Luxembourg. Now, it's also permitted in Colombia and Canada, with India allowing passive euthanasia. In several other nations and U.S. jurisdictions – namely Switzerland, Germany, South Korea, Japan, Washington state, Oregon, Colorado, Hawaii, Vermont, Montana, California, and the District of Columbia – euthanasia is illegal but physician-assisted suicide is permitted. It should also be pointed out that in many countries with socialized health-care systems, while technically forbidding euthanasia or assisted suicide, have what may fairly be described as death panels, which effectively condemn patients to death by denying them life-saving treatments in cases when the cost to the government is deemed to be too steep in comparison to the benefits accorded to the patient. There's more. The Netherlands and Belgium don't just allow euthanasia for adults. In those countries, terminally ill persons as young as twelve years old may also choose to be put to death. Then there are the cases of people who aren't physically unwell but are nonetheless considered expendable. In both the Netherlands and Belgium, people whose only illness is psychological are allowed to check out with the help of a doctor. In an article published in March, Cassy Fiano-Chesser wrote about a 29-year-old Dutchwoman named Aurelia Brouwers, who “suffered from anxiety, eating disorders, depression, psychosis, and a history of self-harm.” Brouwers asked to be put to death, and her doctors complied. Fiano-Chesser quoted a Dutch doctor who had supported the ratification of his country's assisted-suicide law but who changed his mind pronto after seeing how broadly and casually it was implemented. “Supply has created demand,” he warned. “We’re getting used to euthanasia, that is exactly what should not happen. We’re no longer speaking about the exceptional situations that the law was created for, but a gradual process towards organised death.” In response to these gruesome developments in the Netherlands (and in Belgium as well), the American Psychiatric Association has condemned the physician-assisted suicide of mentally ill individuals, with Dr. Mark Komrad, a member of that organization's ethics committee, telling Fiano-Chesser that in every country that allows physician-assisted suicide, the same kind of chilling mission creep has been observed: laws originally intended solely to permit doctors to dispatch the terminally ill have eventually been invoked to justify the snuffing out of people who are in tip-top physical shape, especially psychiatric patients. is people who are certain that they are noble and good. They believe in the cycle of life. They believe in quality of life. They just don't happen to believe in the individual life. In fact, they view the individual life as getting in the way of things they value more....They regard people who focus on the individual life as childlike sentimentalists who don't grasp that every individual life is only part of a larger design, a “bigger picture,” and should be extinguished the moment it becomes burdensome or inconvenient.These people, I was quick to add, would likely deny that they're indifferent to the individual life. They'd say that they just believe that an individual life loses its value when that individual's health or living conditions or other circumstances deviate too far from perfection. What is frightening, of course, is that the degree of deviation that they're willing to permit is steadily shriveling, and the list of afflictions that they consider severe enough to warrant death is growing longer by the year. Bruce Bawer is a Shillman Journalism Fellow at the Freedom Center and the author of “While Europe Slept” and “Surrender.” His book "The Victims' Revolution: The Rise of Identity Studies and the Closing of the Liberal Mind" is just out from Broadside / Harper Collins. His article was in FrontPage.Mag, a project of the David Horowitz Freedom Center. Tags: Bruce Bawer, FrontPage Mag, Organized Death, The Netherlands To share or post to your site, click on "Post Link". Please mention / link to the ARRA News Service and "Like" Facebook Page - Thanks! 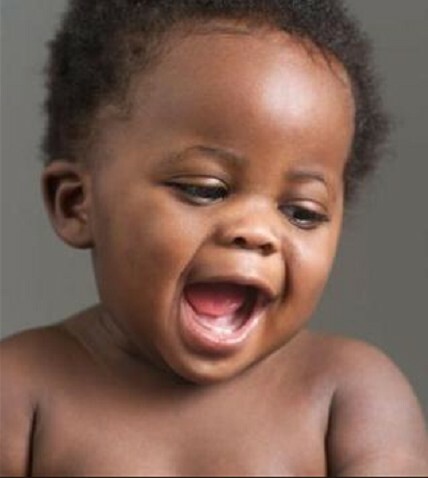 Leading Cause of Death for Black Americans? by Shawn: If the NFL’s social justice squad wants to kneel for something, maybe they would be better off protesting Planned Parenthood instead of police. Because according to a new report from the University of North Carolina, abortion is responsible for far more death and carnage than American law enforcement officers. Wonder why we don’t hear much about that in the media. The new study says that abortion is the leading cause of death in the United States and is responsible for a shocking 61% of deaths among African Americans. Using data from 2009, the latest from which all the relevant information is available, the researchers found that abortion accounts for more than one million American deaths each year, putting it far beyond commonly cited causes like heart disease and cancer. Overall, it is responsible for 32.1% of all deaths in the United States. Of course, that figure means nothing to the left, which refuses to see the killing of an unborn baby for what it is. Just meaningless tissue and blood. The UNC researchers pointed this fact out, saying that abortion-caused deaths are kept out of official mortality rates because of the political/ideological nature of the abortion debate and not for any valid scientific purpose. Unfortunately, the propaganda is strong on the left when it comes to abortion. They’ve drawn a line in the sand and have decided that this is entirely a “women’s health” issue that has nothing to do with the actual baby growing in the womb. They can’t afford to give any ground whatsoever when it comes to this viewpoint, because the second you recognize that this is a viable, burgeoning life, abortion becomes nothing less than homicide. That defeats all of the Democrat messaging, which tells us this is about free, independent women and has nothing at all to do with murder. It just shows you the power of nonstop brainwashing that a decent percentage of Americans actually buy into this insanity. Shawn writes for Fix The Nation. Tags: Leading Causem of Death, Black Americans, abortion, babiesm Fix The Nation, Shawn To share or post to your site, click on "Post Link". Please mention / link to the ARRA News Service and "Like" Facebook Page - Thanks! John Brennan Voted For A Communist, . . .
... A Party Run By The Russians, Why Don't Russiagaters Care? by Daniel Greenfield: Russiagate conspiracy theorists are throwing their usual fit over Trump pulling John Brennan's security clearance. Also known as Thursday. Brennan, Obama's CIA boss, had left behind a trail of problematic behavior. But, by his own admission, he should never have had a security clearance in the first place. Despite the Cold War, Brennan had admitted to voting for a Communist Party candidate. The Communist Party, at the time, was under the control of the Russians. And yet the Russiagaters, the same people who won't stop seeing Russians under every bed, not only don't care, but back a man who had supported a Russian takeover of the United States. 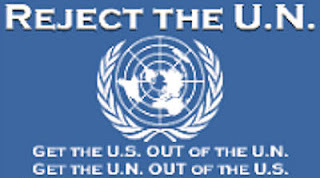 That is a huge problem.U.S. Army Brigadier Gen. Anthony Tata (Ret.) said President Trump was justified in revoking the security clearance of John Brennan, who Tata described as a "clear and present danger" to the nation. Trump on Wednesday revoked the former CIA director's clearance, White House Press Secretary Sarah Sanders announced, saying Brennan "has a history that calls his credibility into question." Tata questioned Brennan's record as CIA director, on everything from the Iran nuclear deal to ISIS to Russian election meddling. He also noted that Brennan has repeatedly called for Trump to be removed from office, noting that question 29 on the security clearance form asks, "Have you ever supported overthrowing the U.S. government?" "I think that John Brennan is a clear and present danger and a threat to this nation," Tata said. "He supports the overthrow of this particular president, and he needed to have his access to information revoked. "Russiagaters claim to be worried about Russian influence, yet they have no problem with Russian influence over Brennan. The contradictions and hypocrisies here are both clear and obvious. Tags: Daniel Greenfield, FrontPage Mag, John Brennan, voted For, Communist Party, Russians To share or post to your site, click on "Post Link". Please mention / link to the ARRA News Service and "Like" Facebook Page - Thanks! by Jim Garamone, DoD News: The Defense Department audit that is underway will allow leaders in the White House, the Pentagon and Congress to find better ways to account for taxpayers’ dollars, DoD’s chief financial officer said yesterday. Defense Department Comptroller and Chief Financial Officer David L. Norquist briefs reporters. Jim Garamone ( @garamonedodnews) is a Reporter for DoD News which provides news and feature articles for the U.S. Department of Defense's website. Tags: Department of Defense, Navy, Improved Accounting, Defense Audit, Jim Garamone, DoD News, Defense Media Activity, DoD News, Defense Media Activity To share or post to your site, click on "Post Link". Please mention / link to the ARRA News Service and "Like" Facebook Page - Thanks! by Michael Barone: Is President Trump fulfilling candidate Trump's promises? Tags: Michael Barone, editorial, Rasmussen Reports, Trump Delivered, Economic Promises To share or post to your site, click on "Post Link". Please mention / link to the ARRA News Service and "Like" Facebook Page - Thanks! Tags: Paul Jacob, Common Sense, Not So Great, Again To share or post to your site, click on "Post Link". Please mention / link to the ARRA News Service and "Like" Facebook Page - Thanks! by Printus LeBlanc: The political world is waiting with bated breath for the outcome of Paul Manafort’s trial. The former one-time Trump campaign chairman is being prosecuted by Special Counsel Robert Mueller for various tax and bank fraud crimes, most of which occurred over a decade ago. Manafort is also facing charges in the District of Columbia for Foreign Agent Registration Act violations. In total, Manafort is looking at more than three centuries behind bars. 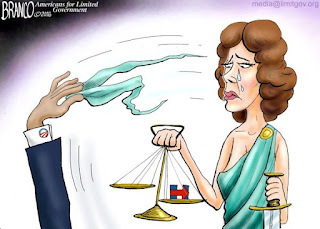 Tags: Double Standard Justice, in USA, Risking the Collapse, Entire System, Printus LeBlanc, Americans for Limited Government, To share or post to your site, click on "Post Link". Please mention / link to the ARRA News Service and "Like" Facebook Page - Thanks! by Dr. Walter E. Williams: During the weekend of Aug. 4-5 (and the preceding Friday night), 12 Chicagoans were shot dead, and 62 others were shot and wounded, the Chicago Tribune reported. Before last week’s mayhem, 1,718 Chicagoans had been shot since the beginning of the year, and 306 had been murdered. Adding to this tragedy is the fact that Chicago’s clearance rate is less than 15 percent. That means that in more than 85 percent of Chicago’s homicides, no suspect is charged. Chicago is by no means unique in this lawlessness. Detroit, Baltimore, Philadelphia, St. Louis and some other major cities share high rates of homicides. It’s not just shootings and homicides that negatively impact the overwhelmingly law-abiding black residents of these cities. In addition, there are sky-high rates of burglaries, rapes and property destruction. The schools are notoriously bad. City budgets face shortfalls. Residents deal with deteriorating city services. All of this causes mass exoduses from these cities by their most capable people. Ordinary decency demands that something be done to address the horrible conditions under which so many black Americans live. White liberals, black politicians and sports figures focus most of their attention on what the police do, but how relevant is that to the overall tragedy? According to Washington Post data, as of July 9, 2017, 626 people had been shot and killed by police this year. Of that number, 114 were black. Last year, 987 people were shot and killed by police, of which 223 were black. To put police shootings in a bit of perspective, in Chicago alone in 2017, there were 674 homicides, almost 80 percent of whose victims were black. It would appear that if one is truly concerned about black deaths, shootings by police should figure way down on one’s list — which is not to excuse bad behavior by some police officers. More money from taxpayers could not fix the problems of these communities. Over the past 50 years, more than $16 trillion has been spent on poverty programs. The majority of those programs have simply made poverty more comfortable by giving poor people more food, health care, housing, etc. What’s needed most is to get poor people to change their behavior. Chief among the modifications is reducing female-headed households. Female-headed households produce most of our prison inmates, the highest crime rates and disproportionate numbers of high school dropouts and suicides. These devastating factors are far beyond the capacity of Washington to fix. 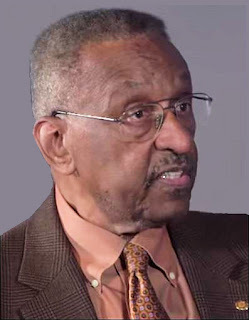 Tags: Walter Williams, commentary, Enough's Enough, fix these problems, black people To share or post to your site, click on "Post Link". Please mention / link to the ARRA News Service and "Like" Facebook Page - Thanks!